Dinner is considered a main meal of the day in all countries in the world. Dinner plays a very important role in our daily life, and it is also the time for family’s members gather together to eat, talk, and relax after a hard-working day. For Vietnamese people, dinner is also the time for the housewives to give their parents, husband, and children many delicious and nutritious dishes. Dinner is one of the three main meals of a day, taking place at the end of the afternoon. In Vietnam, the dinner takes place between 17 p.m to 20 p.m because this is the time that everyone can finish their work and spend hours relaxing and gathering together with the family’s members. Dinner is the time when the whole family can meet, talk, and eat with other people in the family, so Vietnamese people often prepare the most delicious dishes for dinner. Scientists have concluded that dinner meals which occur too late or come with too many nutrious dishes are the major causes of the strong bacterial activities. Many experts have advised that people should have dinner at home. It is not good if you leave your stomach empty at night, but you should also not eat too much for dinner because overeating at dinner will cause pressure on the digestive system and nervous system. Thereby, it will lead to the sleep disorder. If this phenomenon lasts for too long, it can damage and degenerate the function of the nervous system. People should eat in moderation so as not to overload the digestive system. Do not eat a lot of meat because meat is very hard to digest. Instead, you should eat more greens, raw vegetables, and raw grains (whole grain products). This vitamin sources derived from plants are very good for human heart and digestive system. In addition, it is not good if you eat a lot of sweets at night because the sugar after entering to your body will be divided into two types: fructose and glucose, and absorbed by the body, turnig into fat and energy. On the other hand, after eating dinner, the activities of the whole body will decrease, so eating a lot of sweets at night will boost the accumulation of fat inside our body; thereby, it will easily cause weight gain. You should remember not to eat too late a night (You should have your dinner in at least 4 to 5 hours before sleep). Having dinner too late not only can cause weight gain but also lead to the urinary stone disease. In addition, do not eat spicy dishes for dinner because of the substance named “capsaicin” in chili, which has a stimulating effect on the tongue; then stimulate the brain and the central nervous system, causing the heart to beat faster, increasing body temperature, and causing excitement in a while. Here are the direct causes that lead to sleep disorder or late sleep. A too late dinner with too many nutrients in nutritious dishes (eating too much food in lavish parties at night) are the main causes of nightmares due to the increased pressure in the stomach. And then, sleeping with a tummy which is still fulled of nutrients may cause fatigue and terrible headaches. This prolonged situation can lead to the nervous breakdown. For Vietnamese people, dinner is an extremely important meal of the day. 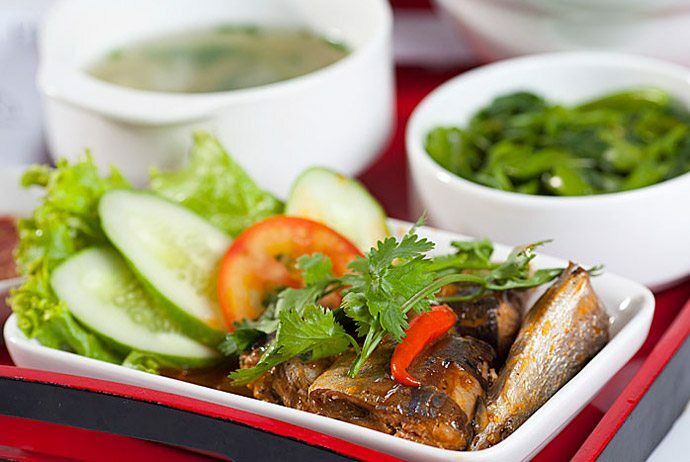 Vietnamese dinner dishes are very plentiful, yet usually provide too high levels of calories. Therefore, this article will introduce some healthy dinner dishes and examples of quick and easy dinner meals. Here are some of the most common healthy Vietnamese dishes for dinner you should pick up. They are all perfect choices for quick and easy dinner meals. 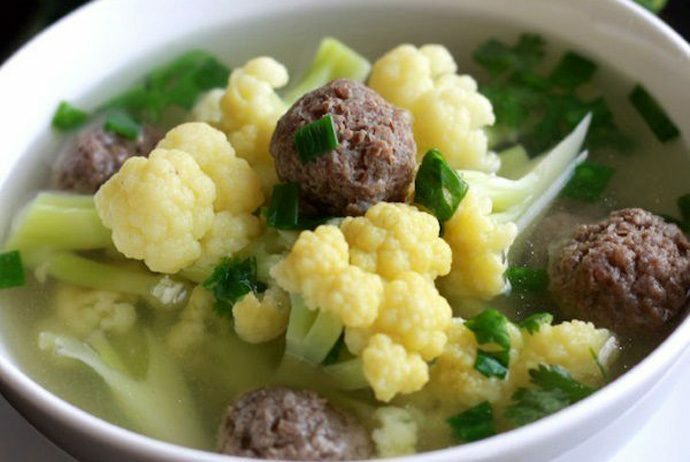 The first healthy and delicious Vietnamese dinner dishes I would like to introduce in this article is the beef and cauliflower soup. This tasty, nutritious, yet fast and simple to cook is perfect for you and your family to enjoy in cold winter days. This is a delicious, healthy, yet super simple to cook as everyone can make it without spending too much time. People do not need any experience before to cook this dish well. 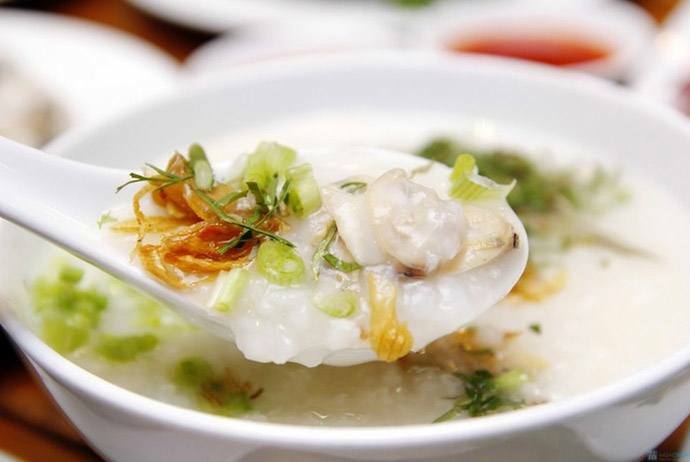 For the coming cold winter days, it will be great if you and your family have chance to gather together around a hot pot of clam porridge. Squash is the natural ingredient which has effects on lowering body’s heat. It can also detox the body, push toxins and residues out of the body and help to our skin effectively. The squash fried with shrimp and pork dish is a simple to make yet very delicious and healthy dinner dish in Vietnam which you should try! It is such a terrible “headache” for housewives that they have to decide what to buy for meals when the food price average is such very high, and cooking a dinner with round scad is a perfectly cheap choice. Round scad provides a lot of essential nutrients; especially, vitamin A. 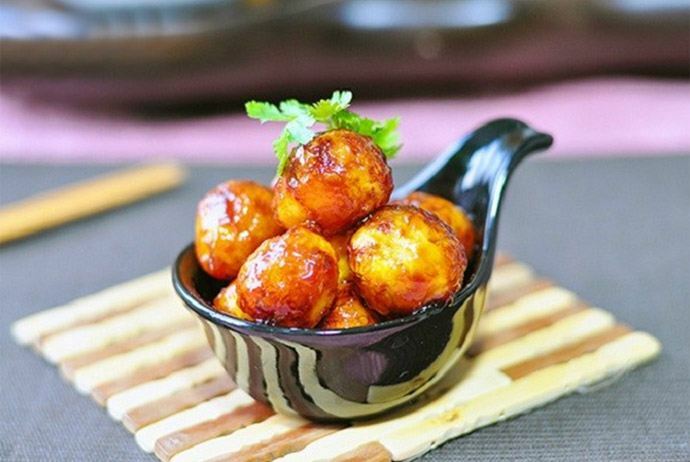 Round scad fried with tomato sauce is very delicious and nutritious yet takes not much money, and it is also very good for our digestive system. This is a perfect choice for you whenever you want quick and easy dinner meals. 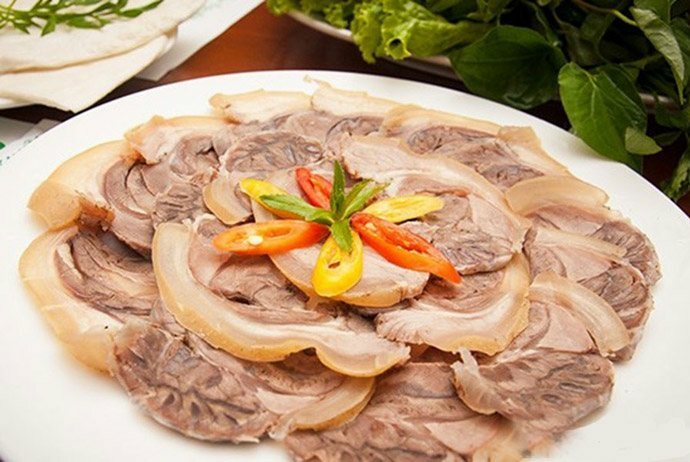 In Vietnamese cuisine, pork is one of the most popular ingredients which are used in many delicious dishes. 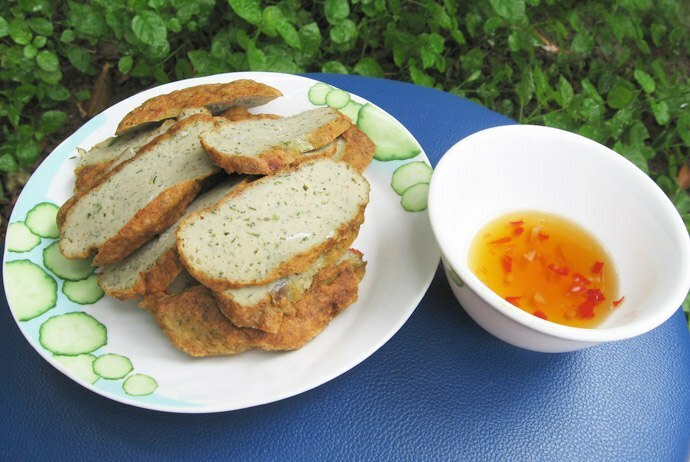 This ingredients in Vietnam are also very cheap to buy, so people should try this dish – the pork loin grilled with garlic – to have quick and easy dinner meals without spending too much time, money, and efforts. 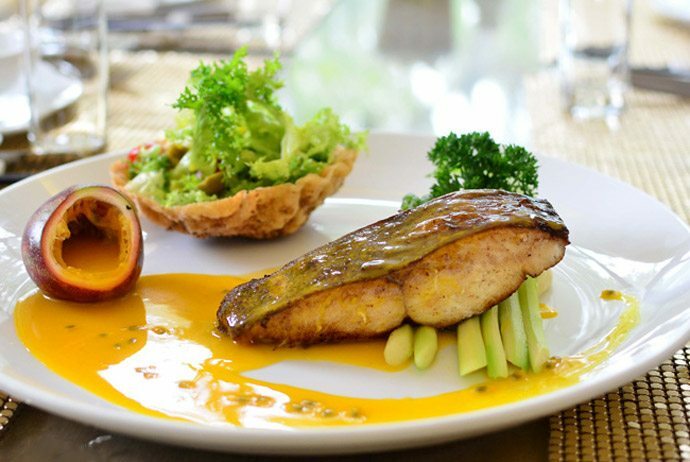 Fish is a plentiful and excellent source of nutrients which are very beneficial to human health. Mackerel is considered one of the best seafood that people should eat in a regular basis. 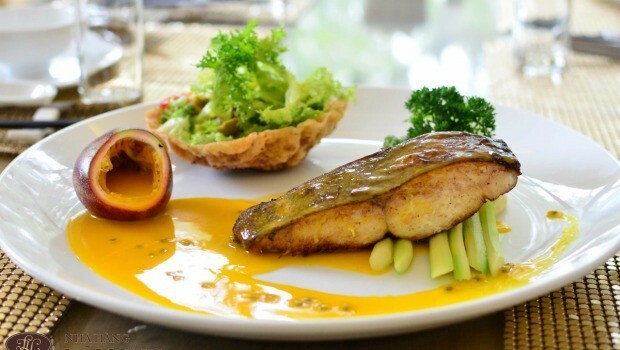 The fat flavor of butter blended with the slight sourness of passion fruit makes this dish really special. 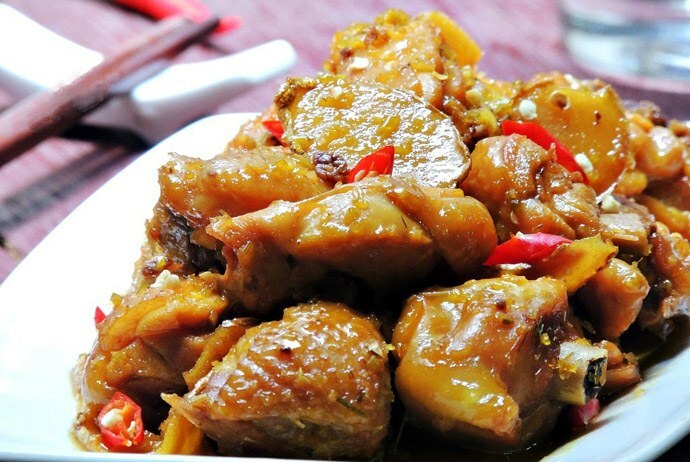 Three-color stewed pork rib is a delicious and nutritious dinner dish which can be eaten with rice or bread as well. 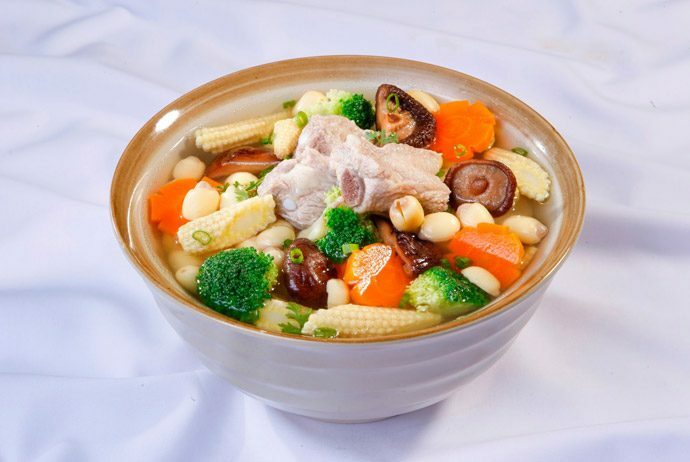 This is a colorful dish with very soft and fleshy ribs, fragran lotus seeds, peas, and the sweet taste of mushrooms. 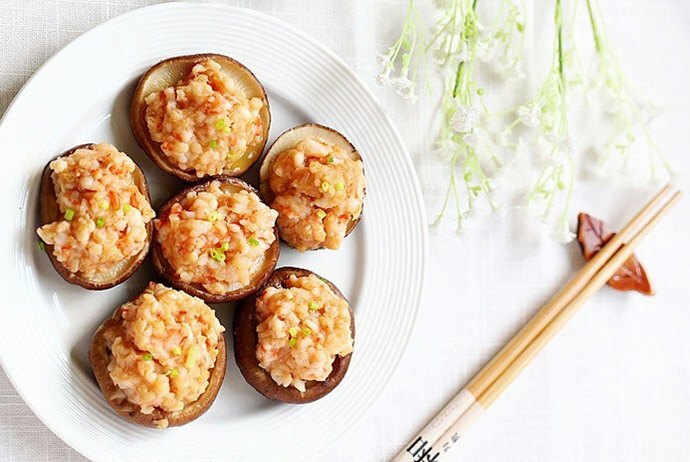 If you want to “change” your family’s boring daily meals without spending too much time, money, and efforts, you can try this delicious and nutritious dish – the shrimp steamed with shiitake mushroom that can be made easily at home with your microwave. This dish is a perfect choice for quick and easy dinner meals which requires just some simple to find ingredients and easy steps. 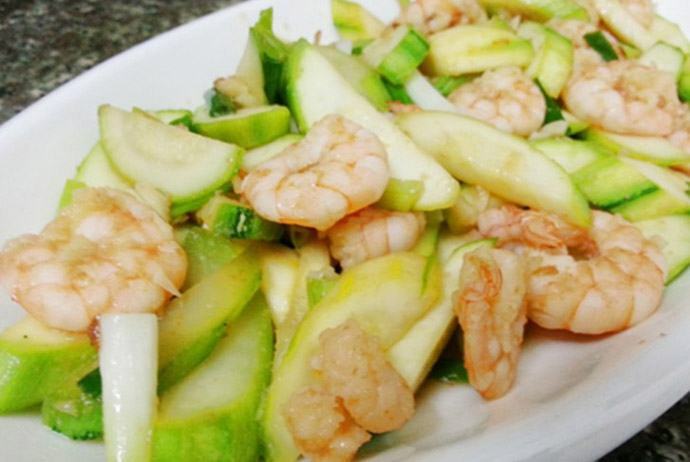 Zucchini fried with fresh shrimp is such an easy to make yet very delicious Vietnamese dinner dish, providing people with sufficient amount of essential vitamins and minerals. This dish also does not contain too many calories. Therefore, you should regularly make this dish and give your family at night. With this cooking method, you will find this dish is much better than boiled chicken. 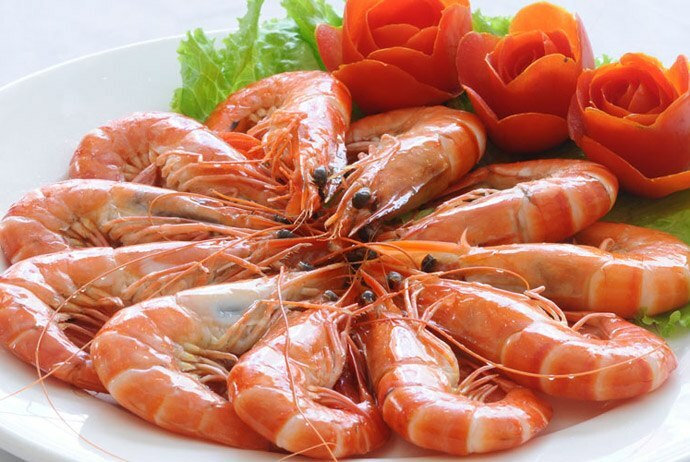 The skin is very crunchy with eye-catching yellow color, coming with the fleshy taste and attractive fragrance. Making this dish is also very simple with easy to find ingredients. This dish is perfect for a warm dinner as a gathering. Okra is a relatively popular veggie in Vietnam. Okra is crunchy, fresh, and cool. 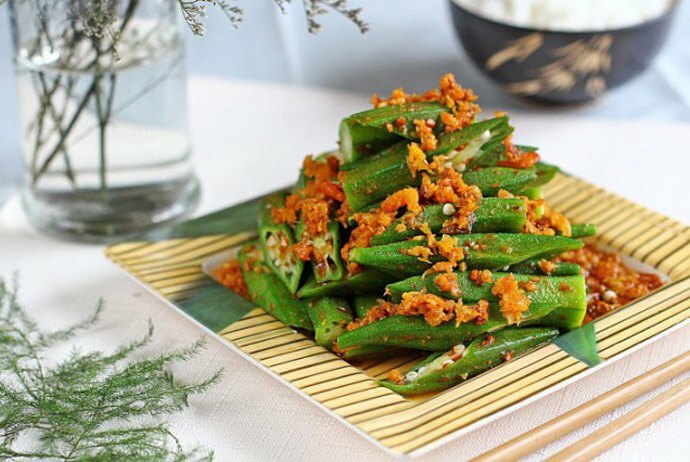 If you add some lemongrass and chilli and fry them with okra, you will have a much more attractive dinner dish. This dish is also very good for the digestive system as long as you use not too much chilli. This dish is very delicious and fragrant, so you can “renew” your dinner menu and surprise your family right tonight! Eating braised, fried mackerel for a long time will make you sick of this fish. Therefore, you should try making this brand new dish for this dinner – mackerel pie. 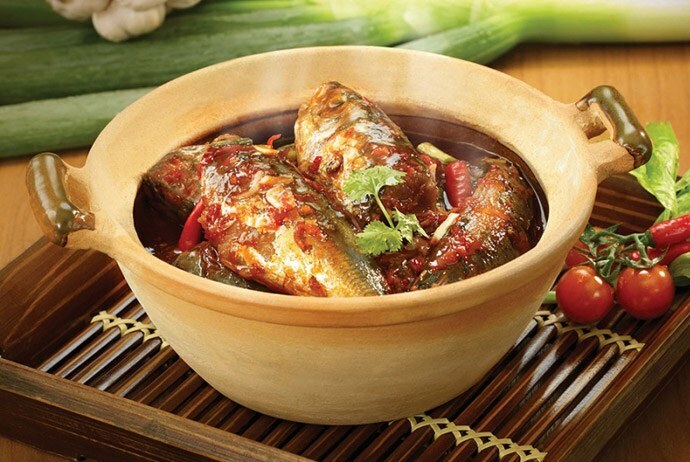 This dish is very simple to make with attractively delicious taste, the chewiness of the mackerel and the fragrance of fennel, scallion, pepper, garlic, and chilli. You can serve this dish with rice or just as a snack. 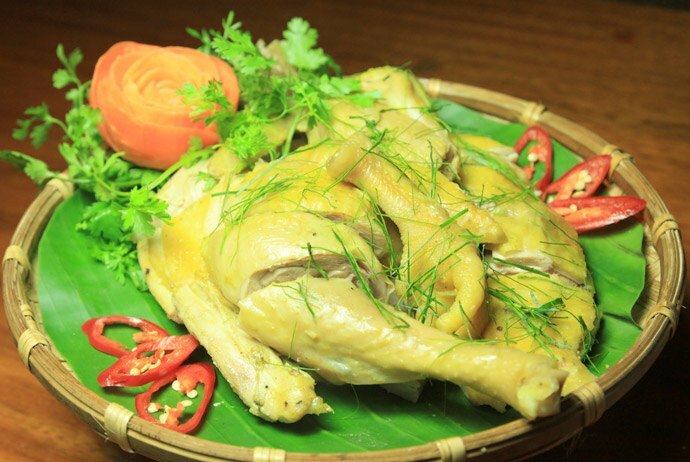 Braised chicken is a familiar Vietnamese dish, but it can become strange if you braised chicken with white radish. This dish is perfect for dinner whenever you need some easy to make dinner ideas. 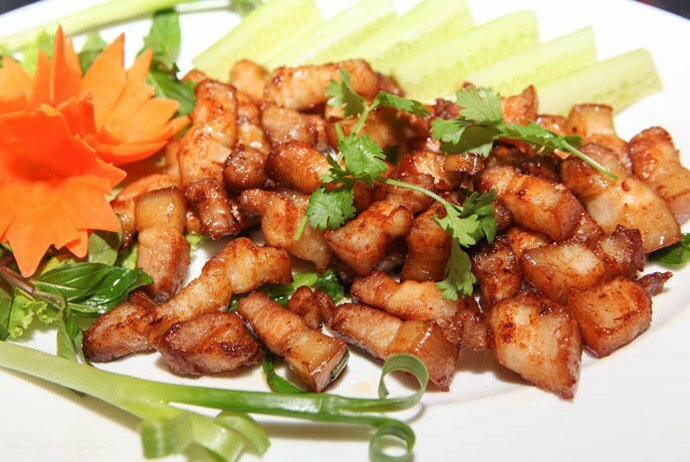 This Vietnamese dish is super delicious with the crunchiness and freshness of veggies and the softness and fleshiness of chicken. 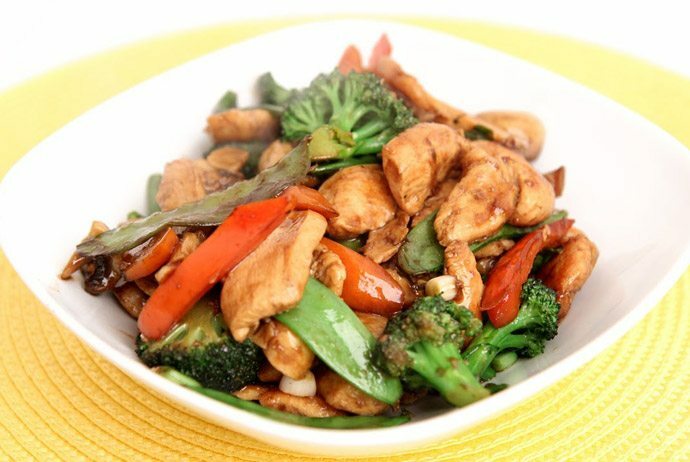 Chicken fried with veggies is also very simple to make with available ingredients and some easy cooking steps. It is perfect for your dinner tonight. Braised round scad (or you can even fry the round scads after braising them) is perfect to be served with rice thanks to the natural freshness of the round scad. 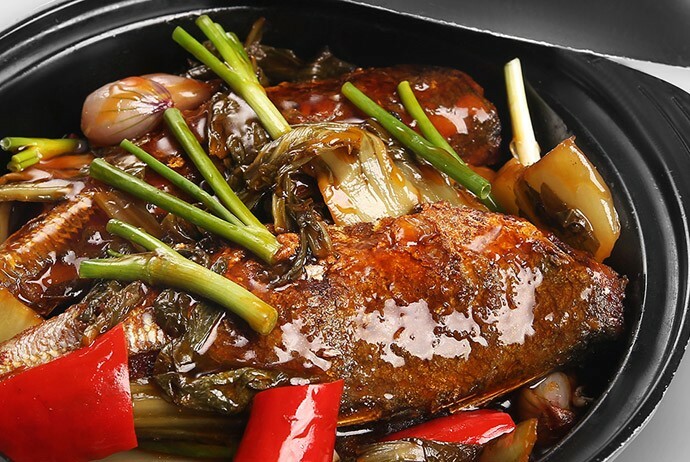 In addition, you will not feel uncomfortable with the fishy odor because the fish will be braised with garlic and chilli. This dish is also not greasy or contains a high level of calories so that you can serve it for dinner. Bitter melon is an excellent source of vitamin C which helps to enhance the immune system and stimulate the digestive system. 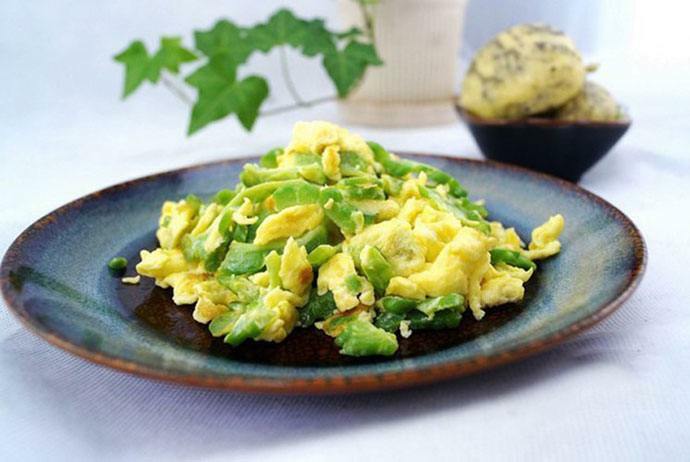 Fry egg with bitter melon will reduce the bitterness of bitter melon and make the dish more delicious. 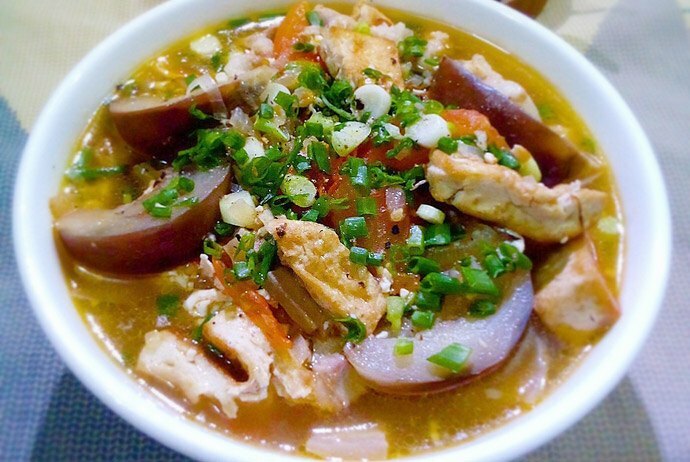 This dish is very good for digestion so that Vietnamese people usually serve it for dinner. This Vietnamese dinner dish is very simple to make with easy to find ingredients which are available in any food store or supermarket. 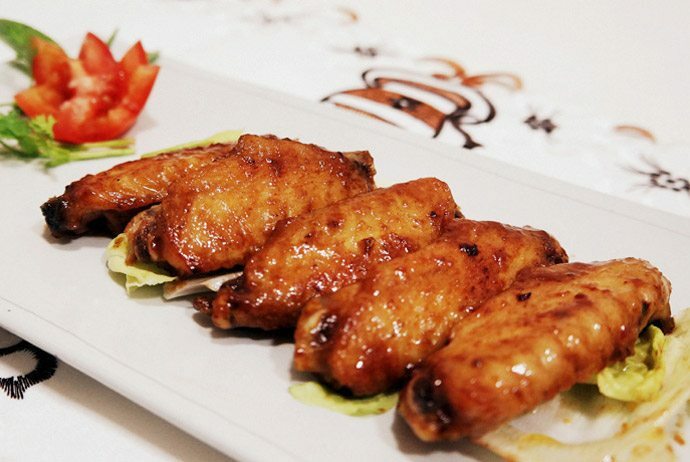 Sour and sweet chicken wing is very delicious and children will definitely love it. Green rice is a speciality of Hanoi. Pork loin fried with green rice covers around will give you a great and unique flavor which can become a surprise for your family this dinner. Steamed, braised, fried, and grilled tilapias are all very delicious and easy to make. Among these dish, maybe fried tilapia is the most popular dish to eat. 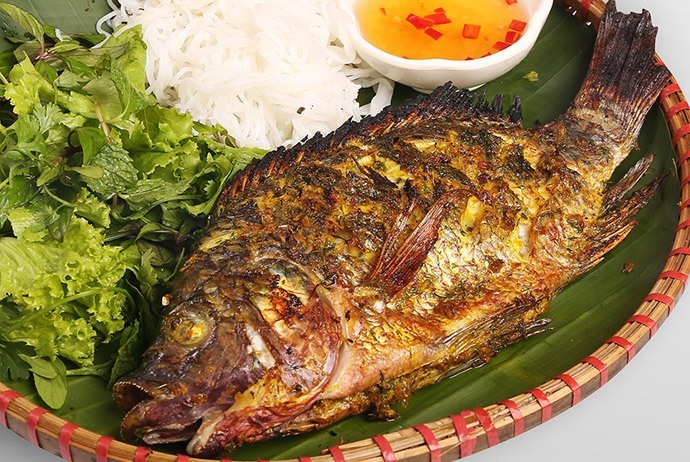 Fried tilapia is served with sour, spicy fish sauce with ginger and raw veggies. The saltiness, spiciness and the fragrance of black bean sauce cover white, soft, and cool tofu make this dish really delicious when being served with rice. Every Hanoian has eaten Mo village’s tofu at least once in their life. This is a familiar rustic dish which is used regularly in family’s daily meals. 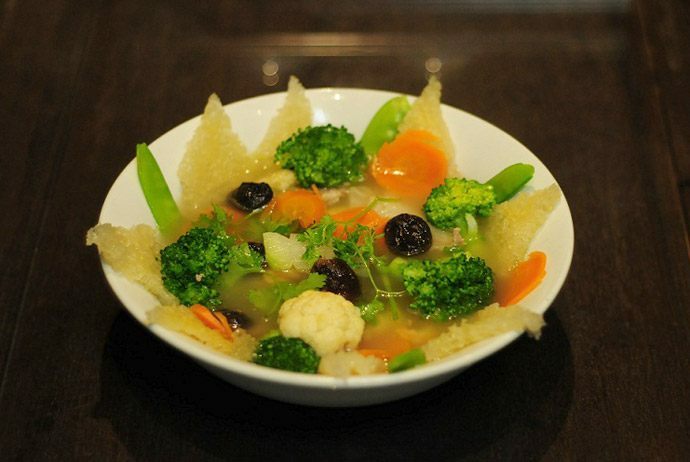 There are so many dishes made with Mo village’s tofu you might have tried, such as fried tofu, boiled tofu, braised tofu. 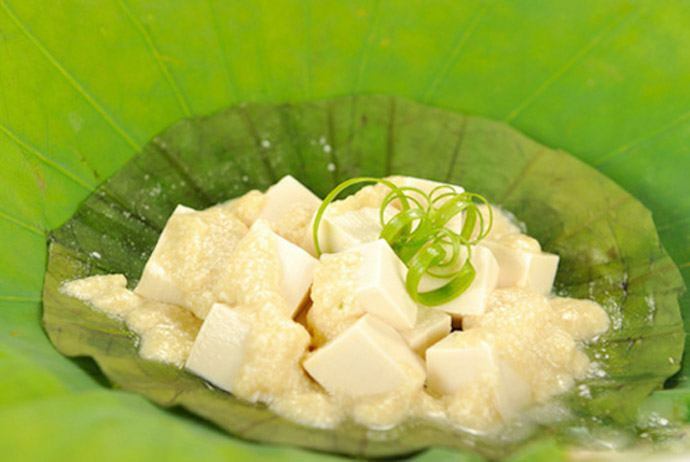 However, there is a relatively “strange” dish made from tofu you might not know about – Mo village’s tofu steamed in lotus leaf. You should try making this dish at home for dinner because it is very delicious and easy to make with simple ingredients. According to scientists, anchovies contain a high level of protein, vitamins, and minerals. 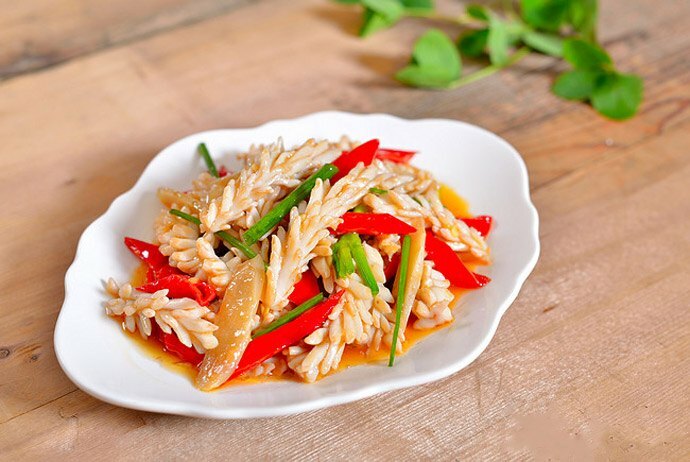 It is a nutritious food which can be used to make a lot of delicious dishes, such as anchovies braised with pepper, lemongrass, dried anchovies, and anchovy salad. 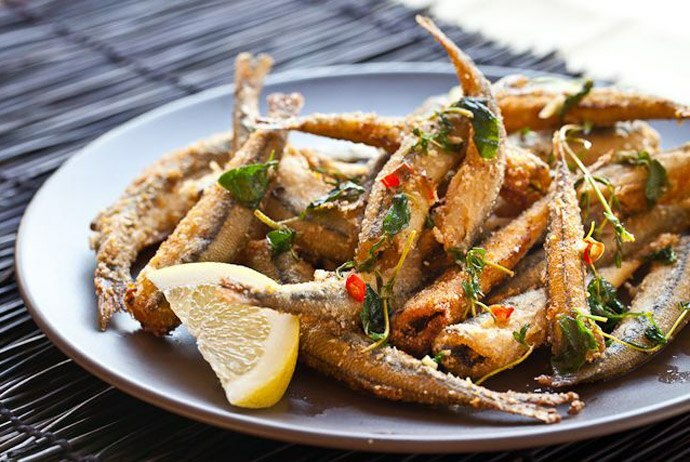 Crispy fried anchovy is a simple to make yet very tasty and nutritious dish which is usually served for dinner in Vietnam. 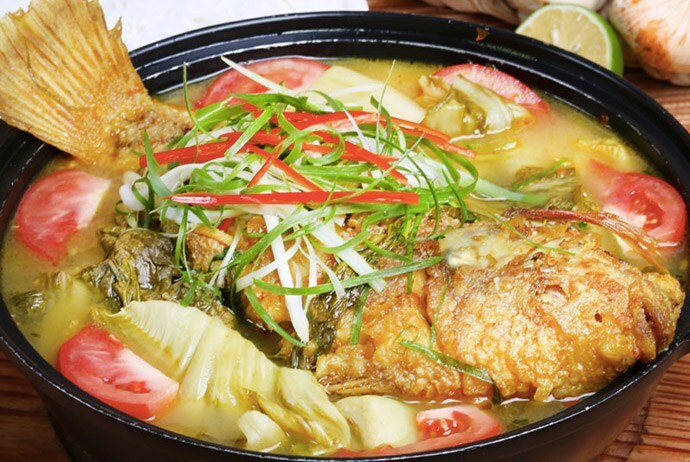 These cold winter days are the perfect time for Vietnamese people to cook a hot pot of braised fish with pickles. This dish is very delicious and nutritious so that you should try making this dish right tonight. Have you ever tried clam pie? 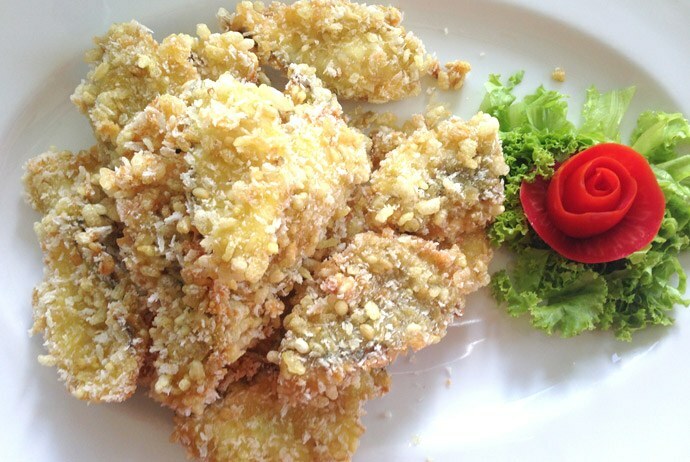 Clam is a popular ingredient which is used in many delicious dishes in Vietnam, including clam pie. Clam pie contains a lot of ingredients, and they all come with unique fragrances and tastes. Try making this dinner dish and surprise your family right tonight! The white turnip will be more delicious if you remember to fry it fast, on high heat, and well stir the dish all the time. The squid will be very fresh and fragrant with the smell of garlic. This dish is perfect for a warm dinner as a gathering of the family. 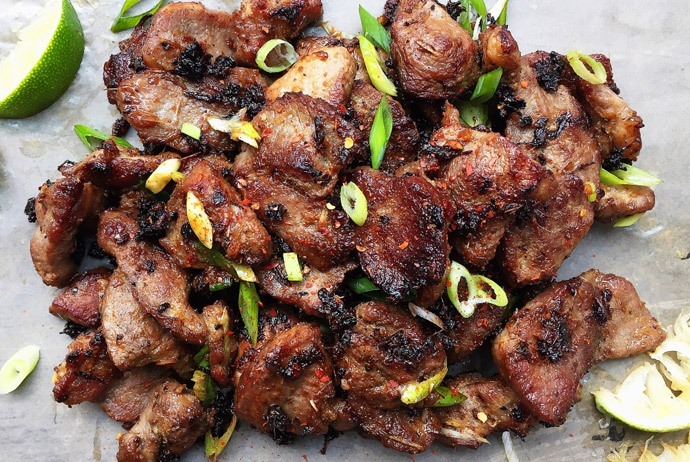 Pig’s liver is a cheap ingredient which is not popular in Western countries yet is widely used in Vietnam. 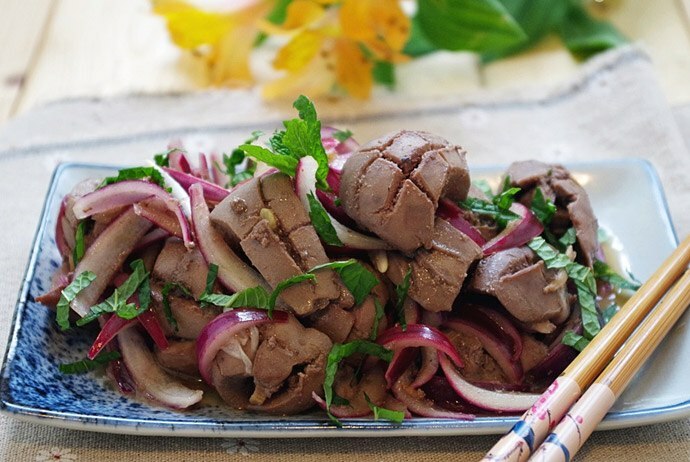 Pig’s liver is very nutritious, but due to the toxins stored in the liver, not many people in the world love this ingredient. If you do think so, you should try this Vietnamese dish right tonight, and you will have a delicious dish for this dinner without spending too much time, money, and efforts. This dish is perfect whenever you want to have quick and easy dinner meals without spending too much time, money, and efforts. 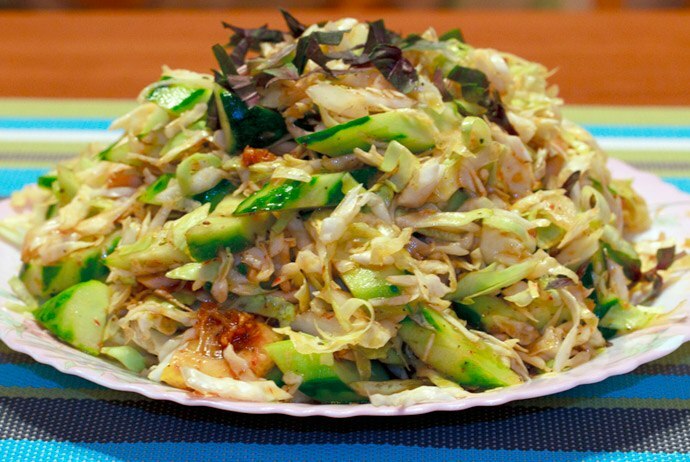 Pork loin fried with cabbage is suitable for this cool weather, and making this dish is also very simple and fast. 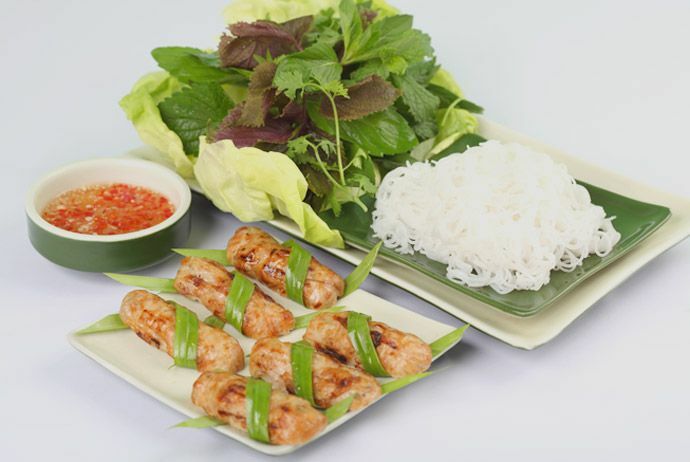 Try making this Vietnamese dinner dish at home and enjoy it with your family! 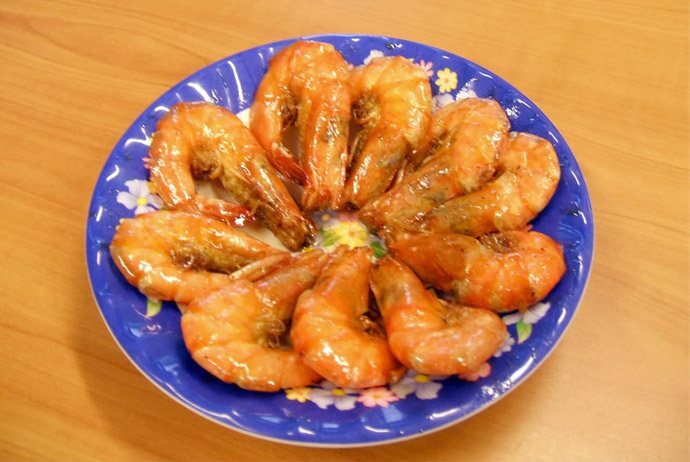 Steamed shrimp is a simple and familiar dish to Vietnamese people. 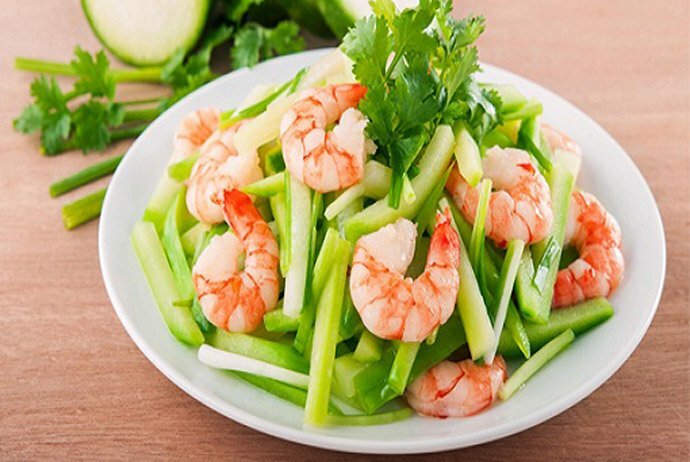 However, if you add some other ingredients, such as lemongrass, lemon leaf, and white alcohol, you will have a much more delicious and eye-catching shrimp dish for your family’s dinner tonight. 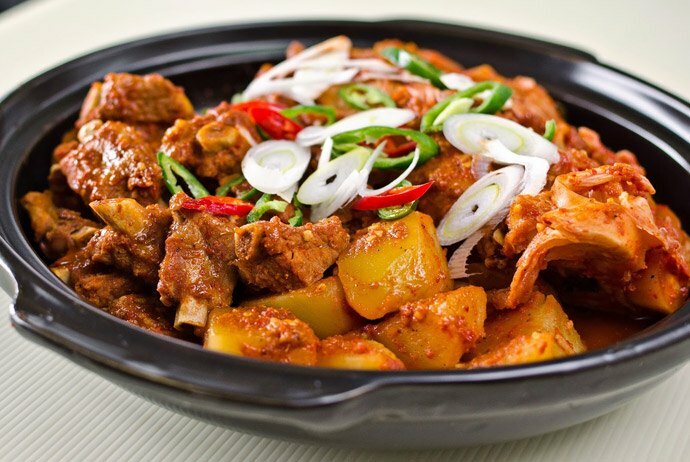 Cartilage braised with pineapple is a super delicious and nutritious dish with the attractive fragrance and the softness of the cartilage and the slight sourness of the pineapple. This dish will actually make your family’s members satisfied and even want more. In these cold winter days, you will add this delicious soup into your family’s daily dinner meals. This dish is very nutritious and easy to make, so you can make it without spending too much time and efforts. 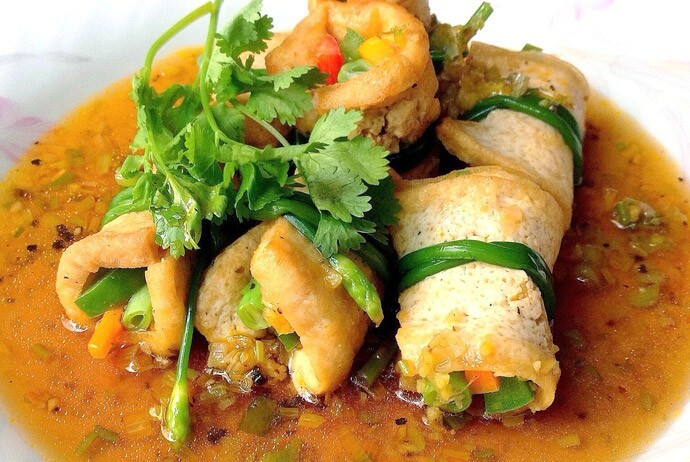 Even children will love this Vietnamese dish! Here are 5 quick and easy dinner meals with simple to make yet delicious and nutritious Vietnamese dishes. These are quick and easy dinner meals that anyone can prepare without meeting any difficulty. The ingredients needed for the dishes are also very easy to find in any food store and supermarket. 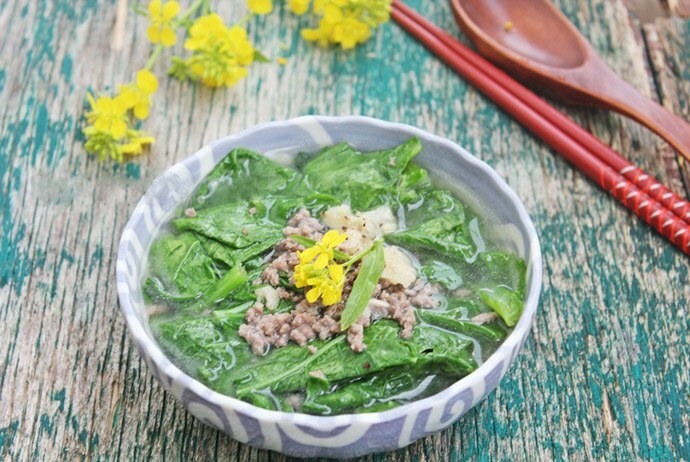 The first example of the quick and easy dinner meals I introduce in this final section of my article is a simple yet delicious and also very nutritious with 3 easy to make dishes: sour fish soup with pickles, fried lean and fat meat mixed, and boiled water spinach. This meal is very light without providing high levels of calories, so it is very good for your health in general and digestive system in particular. It is also perfect for people who really want to lose some extra pounds. This meal is also the cheapest meal among 5 quick and easy dinner meals I provide in this section of the article. This meal is really simple to cook, and it is perfect for people who are busy and do not have enough time to spend on cooking dinner meals. This is really one of the best Vietnamese easy to make dinner ideas for people. This dinner meal example is very nutritious and good for health. 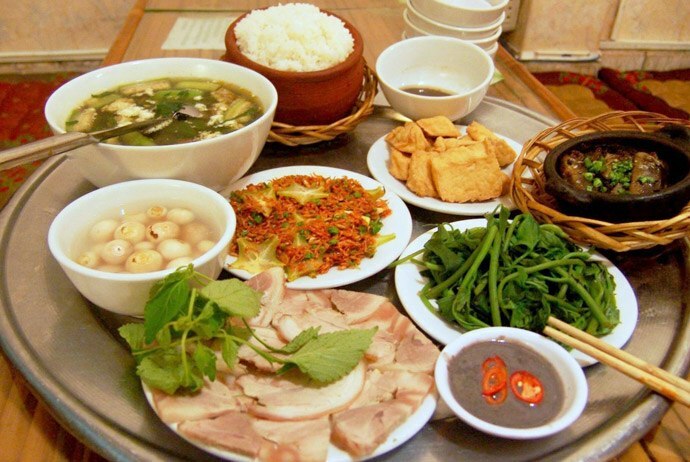 It contains 3 popular Vietnamese dishes which almost everyone loves: boiled beef calf with lemongrass and ginger, pumpkin buds fried with meat, and five-color soup. This is actually among the best easy meals to make for dinner you should try once! This meal contains 3 Vietnamese dishes which take a little bit more time to prepare compared to the meals I introduced above. However, you definitely should give them a try because the dishes come together in a perfect dinner meal with harmony flavors and nutrients will not let you down. 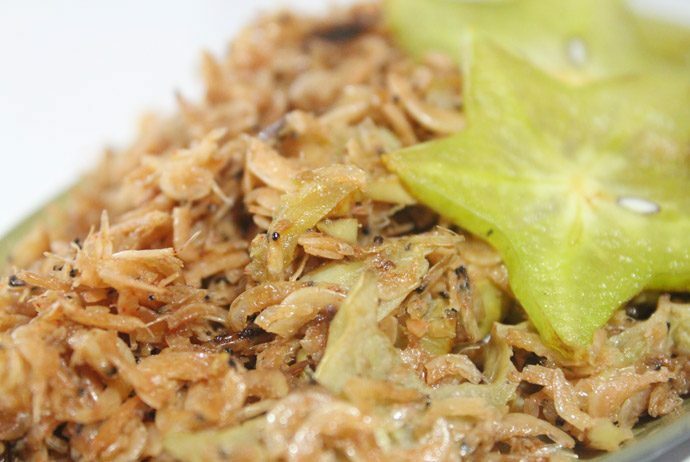 Try making this meal at home with 3 nutritious Vietnamese dishes: small shrimp fried with starfruit, lotus tuber baked with cartilage, and bamboo shoot fried with garlic.